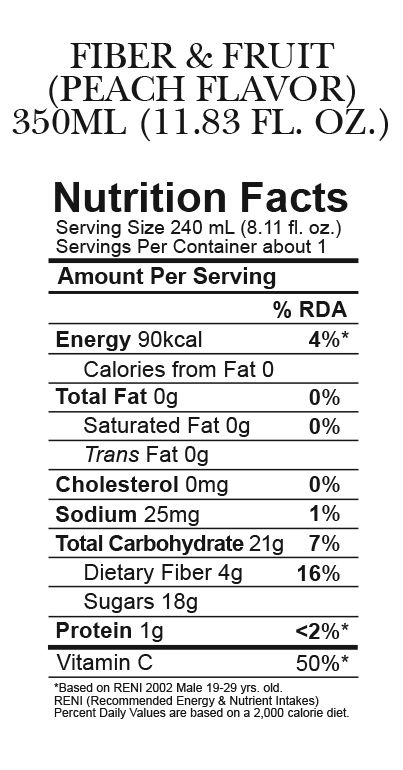 Fiber and fruit with soluble fiber is delicious and an invigorating way to add fiber to your diet.Fiber and fruit is made from wholesome, natural fruit juice.It has no added preservatives, artificial sweetness or coloring. 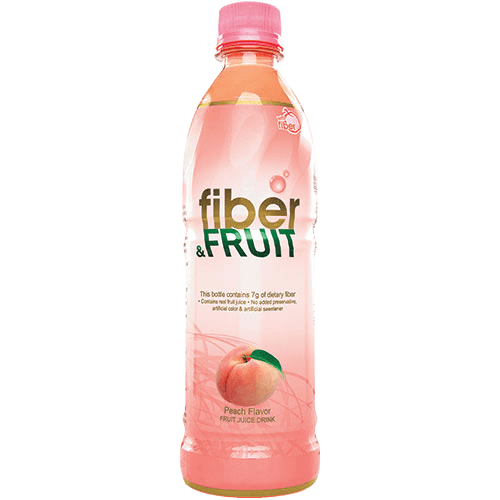 It’s refreshing and convenient source of fiber. 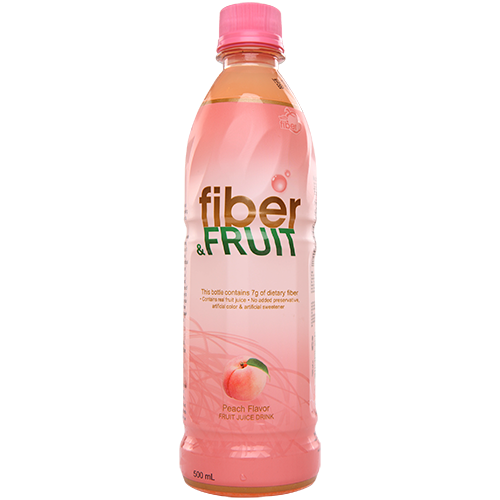 Its so easy to incorporate into your lifestyle, whether youre taking a break or on the go.Fiber & fruit refreshing fiber, anytime anywhere.Soluble fiber helps you maintain good intestinal health. It flushes out toxins and encourages the growth of good bacteria in the digestive system. 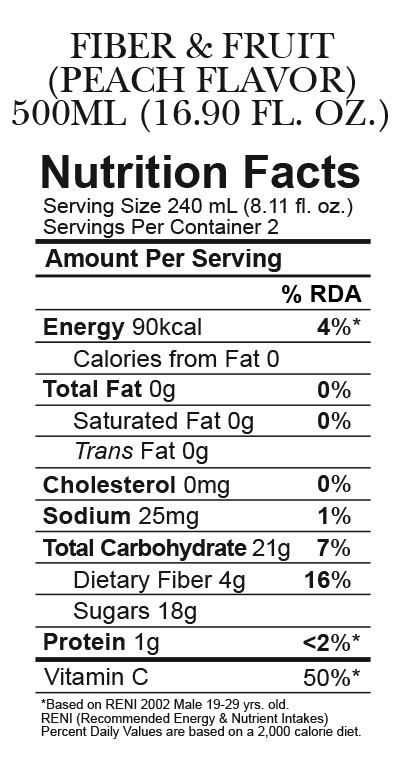 Ingredients: Water, Cane Sugar, Peach Juice Concentrate, Resistant Maltodextrin (Soluble Dietary Fiber), Nature-Identical Flavor, Malic Acid (Acidulant), Cloudifier [Water, Modified Starch, Vegetable Oil, Emulsifier, and Acidulant], Ascorbic Acid (Vitamin C), Potassium Sorbate (Preservative), Xanthan Gum (Stabilizer), Sodium Citrate (Acidity Regulator), Steviol Glycosides (derived from Stevia Leaf), and Lycopene (Colorant). 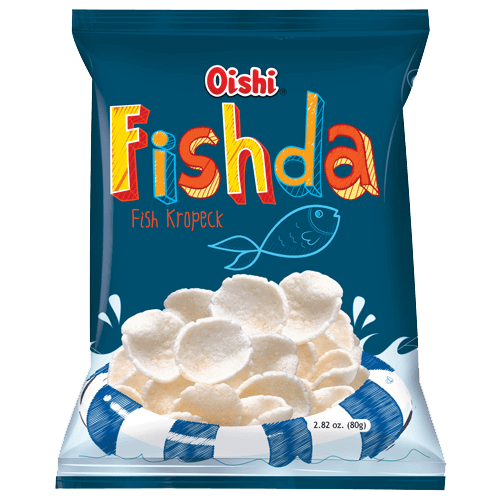 Ingredients: Water, Cane Sugar, Peach Juice Concentrate, Resistant Maltodextrin (Soluble Dietary Fiber), Nature-Identical Flavor, Malic Acid (Acidulant), Cloudifier [Water, Modified Starch, Vegetable Oil, Emulsifier, and Acidulant], Ascorbic Acid (Vitamin C),Potassium Sorbate (Preservative), Xanthan Gum (Stabilizer), Sodium Citrate (Acidity Regulator), Steviol Glycosides (derived from Stevia Leaf), and Lycopene (Colorant).